ATL was the center of hip hop this past weekend as the 8th Annual A3C Festival brought together some of the biggest names for live performances, panels, and everything in between. With the spirit of indie music thick in the air, it was only right that Tech N9ne and Krizz Kaliko fly the Strange Music colors by unleashing their very first A3C performance as part of the X Isle Stage presented by DJ Booth and SupaHot Beats. Featuring live performances from Yelawolf, Rittz, Nikkiya, and Chris Webby, the X Isle Stage was closed out with a headlining performance from the Kansas City King that included favorites like “He’s A Mental Giant”, “Like Yeah”, and “Unfair”. While the live performance had people excited, it’s Tech’s several run-ins with folks like Snow Tha Product and Prodigy of Mobb Deep that have us geeking out a bit in hopes of new collabs. Get caught up on all the happenings below! 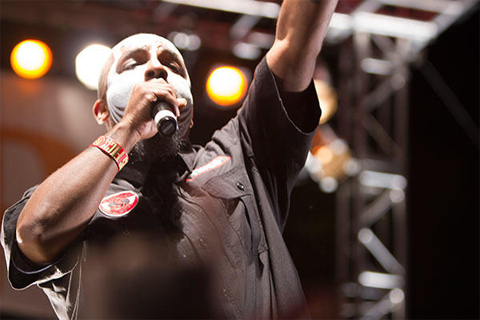 Update: Here’s some more extensive footage of Tech N9ne’s performance at A3C! What did you think of Tech’s performance? Would you like to see him at more festivals like this?